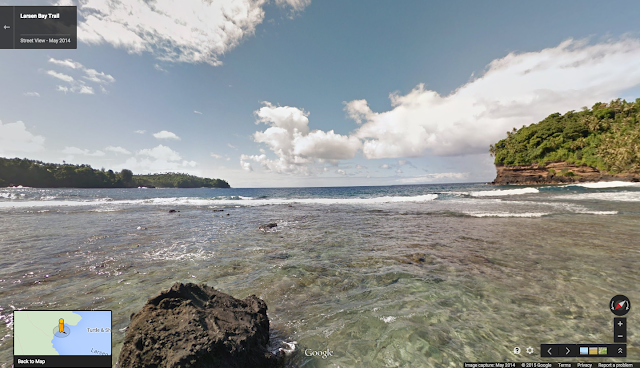 Google is committed to exploring and preserving the ocean. Today, in time for World Oceans Day on June 8, and in partnership with XL Catlin Seaview Survey, NOAA's Office of National Marine Sanctuaries and the Chagos Conservation Trust, you can explore brand new Street View imagery of more than 40 locations around the world, including the American Samoa and Chagos Islands and underwater dives in Bali, the Bahamas and the Great Barrier Reef. We hope the release of this imagery inspires people to learn more about this precious natural resource. With just one click, you can swim underwater alongside some of the most wondrous and exotic creatures, including a sea turtle in the Solomon Islands, humpback whales in the Cook Islands, great white sharks in Australia, and the huge and mysterious sunfish (Mola mola) in Bali. As the ocean changes, we must change with it by creating new technologies, to help document the state of the ocean today and how it changes in years to come. Working closely with XL Catlin Seaview Survey, we’re announcing a select group of new partnerships for our underwater Street View program to map and publish more imagery of our ocean and water systems for the world to understand and explore. 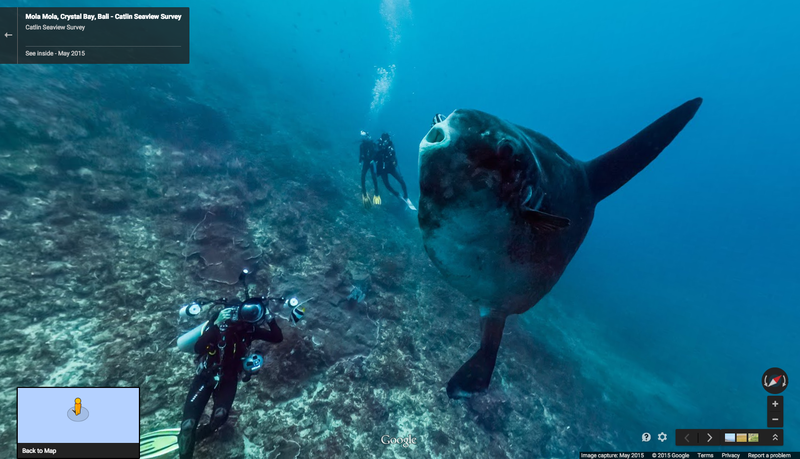 In addition to underwater and coastal Street View imagery, Global Fishing Watch, developed in partnership with nonprofits SkyTruth and Oceana, is producing the first public and interactive view of industrial fishing at a global scale. With so much of what happens on the ocean going unnoticed, Global Fishing Watch will aim to empower governments, the seafood industry, research institutions and the public with new tools to better inform sustainable practices and management policies. This World Oceans Day, we hope that you’re inspired to learn more about ocean change. So dive into the deeps of the sea and become engaged to protect the ocean and understand how it supports us, so that all of us can better support it in return. Covering more than 70 percent of the Earth’s surface, the ocean remains one of the most uncharted and undiscovered ecosystems on the planet. Home to the majority of life on Earth, the ocean acts as its life support system, controlling everything from our weather and rainfall to the oxygen we breathe. Yet despite the ocean’s vital importance, the ocean is changing at a rapid rate due to climate change, pollution, and overfishing, making it one of the most serious environmental issues we face today.